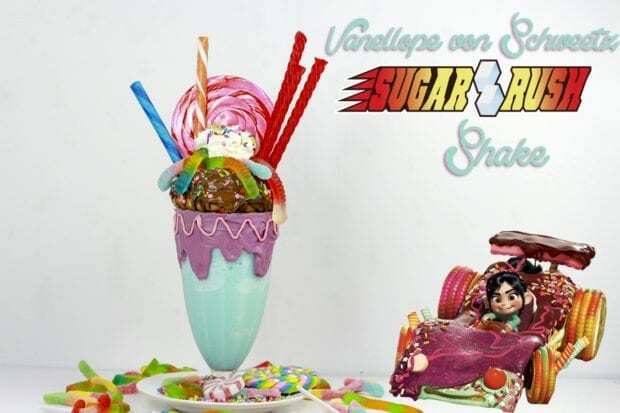 This Vanellope von Schweetz Sugar Rush Extreme Shake is made to look like Vanellope's go-kart from Wreck-it Ralph! Wreck-it Ralph is one of my favorite Disney movies because of all the video game references. Because like Fix-it Felix Jr., I'm retro (old but cool). I played a lot of video games growing up, so it was cool seeing some of them in the movie. Vanellope von Schweetz is such a fun character, and I can't wait to see her in action for Wreck-it Ralph 2: Ralph Breaks the Internet. We recently rewatched Wreck-it-Ralph and relived the fun race in the Sugar Rush game. 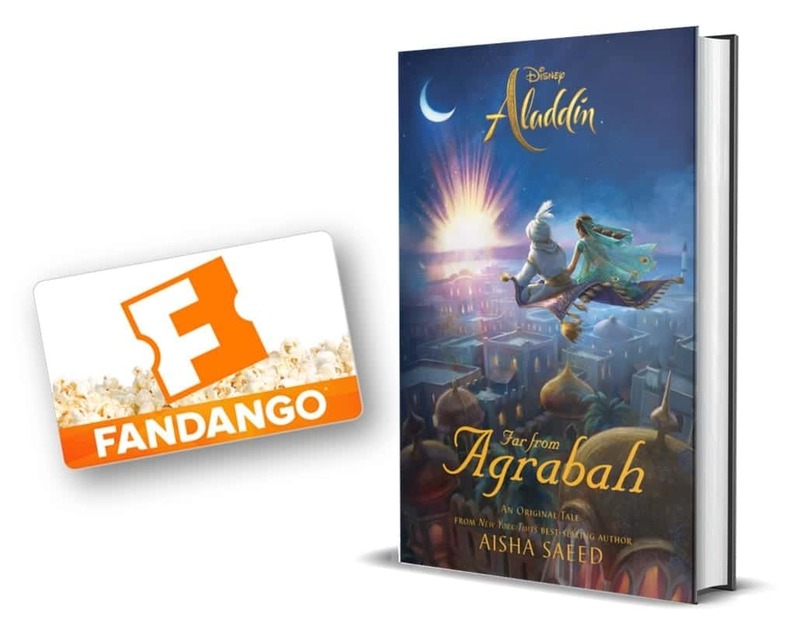 I love that I can rewatch a Disney movie and see something I didn't notice before. This time it was something Vanellope said that made me giggle. Wreck-it Ralph: Ralph Breaks the Internet is in theaters Nov. 21, 2018! 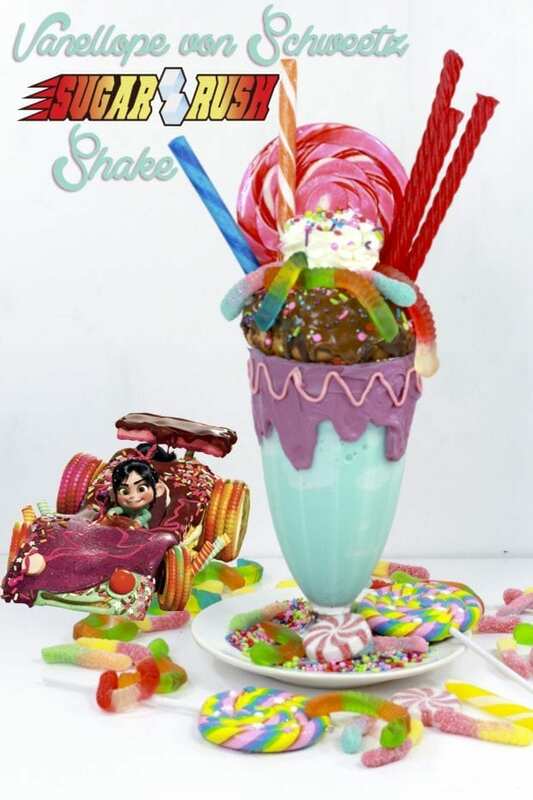 There are some key elements to this Vanellope Shake. I'll let the racer take it from here. 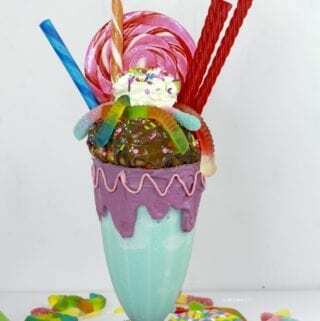 Then dump the rest of the decorating materials like sprinkles, gummy worms, and candy sticks on, and you have yourself the perfect Vanellope von Schweetz Sugar Rush go-kart shake! 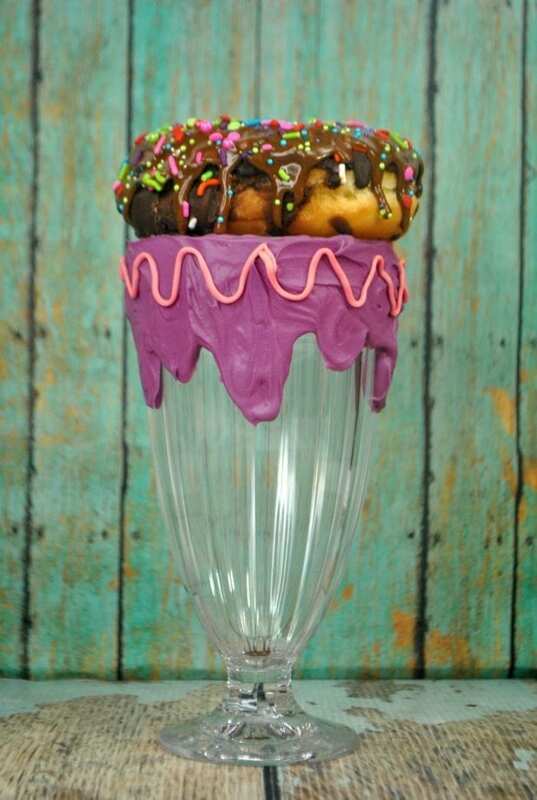 Scoop some strawberry frosting out into a bowl and mix in the purple and pink food coloring. Pipe whipped cream in the center of the donut and sprinkle some sprinkles. 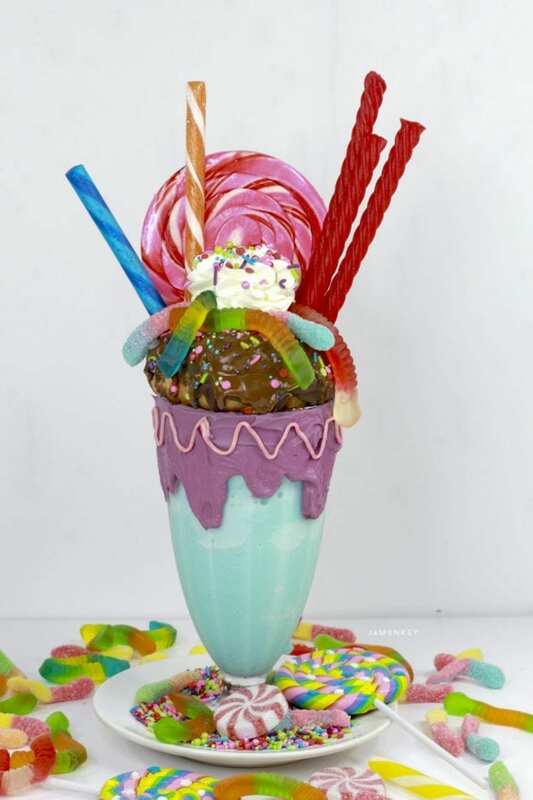 I think this might make me have a sugar glitch after drinking it…and I won’t mind one bit!